I have been writing programs for my Raspberry Pi (running Raspbian) for a few weeks now and would like to make sure I protect the work I have done. How can I backup the files I have created? Can I simply plug the SD card into my Windows (XP or 7) PC and copy it either to the hard drive or another SD card? If you want to preserve all of the data, you will probably have to create a disk image. Furthermore, Windows cannot recognize typical Linux filesystems, so you probably won't even be able to see your files, when you plug in your SD card. Creating a disk image will preserve not only files but also the filesystem structure and when you decide to flash your new SD card, you will be able to just plug it in and it will work. Where /dev/sdx is your SD card. Where /dev/rdiskx is your SD card. To find out which disk your device is type diskutil list at a command prompt - also, you may need to be root; to do this type sudo -s and enter your password when prompted. 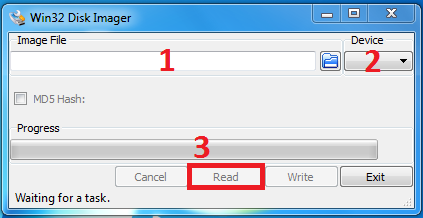 On Windows, you can use the reverse process that you used when flashing the SD card. Of course, you can also use RawWrite, dd for Windows or similar tools, the process is quite similar. If you don't want to back up your entire system, but only specific files, I suggest you connect to your Raspberry Pi via SFTP and copy the files to your local computer (You can use the WinScp client). If you have SSH enabled, SFTP usually requires no special configuration on the Raspberry Pi side. Another option is to copy the files to a remote system using rsync. You can also install special drivers so your Windows can read ext filesystems (and will thus be able to read the whole SD card), such as ext2fsd but it is probably not worth the effort. Where sdx is your SD card. Besides those block-level backups, there are two common approaches to deal with the sources: to archive it continuously (1), or to use the revision control system (2). We are going to use the command-line (any local terminal or SSH connection to a Raspberry Pi machine), right? On the Mac you don't want to be using /dev/diskn. You should use /dev/rdiskn instead, where n is the number the OS uses to identify your SD card. This decreases the time required to copy by a huge amount. Clearly /dev/disk1 is my 8GB SD card, the Linux partition name is also a bit of a clue. For more information, see this wiki page. As a prerequisite you'll need to have generated .ssh keys and copied the id_XXX.pub over to /root/.ssh/authorized_keys. It's possible to have issues with the file system since it's a live backup, but if your Raspberry Pi isn't real busy it will usually be OK.
Browse to your backup file path spot, and type a file name. 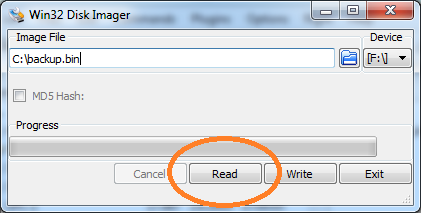 Make sure the device shown in the drop down to the right of your file path is the one you want to back up. from pi's home directory, which creates the file pi.tgz, containing all the files and directories contained there (excluding hidden files). I then scp this file to another linux computer, but you could ftp it or e-mail it somewhere for safe-keeping... anything that got it onto another computer. This creates a much smaller file for your back-up. so that your system also is brought up to the current level before you start adding your packages. Since this will be in your pi.tgz file, you'll have it when you need it. I run Raspbian and use dd and cron to do automated backups of my SD card to my external USB drive. It is a really simple solution. It runs once a week at 2 am on a Monday morning and makes an image of the SD card. I wrote a script which shuts down services such as lighttpd and cron, to minimise the risk of the SD card being written to in the middle of the backup, it then calls dd, before starting to the services again when the backup has finished. For Debian you could use dd and tar. This would make a complete copy of your SD card and would require external (to SD card) storage, probably mounted USB or network drive. With /dev/sdd being the location of your SD card, and of being the output file name. If your Raspberry Pi is connected to a network and you want automatic on-the-fly backups, probably the easiest way is Bittorent Sync - very easy install and running smoothly and stable on the Pi and many other platforms. The new version of Raspbian called stretch has a very beginner friendly app called SD Card Copier. You don't need to use the Linux tools such as dd etc. It can even copy big cards to small cards. You start with the GUI RPi app menu icon at the very top left corner, go to Accessories, then click SD Card Copier. All you need to do is a couple of clicks inside the GUI! After you make the backup SD card, you can use Windows Disk Manager to read the card's image to a Windows file and store it in any Windows directory. This way you need only a physical SD card and store many versions of images in the Windows PC. Of course you can just use the backup card as the working copy, to replace your original card, which now becomes your master card, and lock it in a safe place. In the latest version of Raspbian, there is a tool that converts your OS and files into a .img file that you can then place onto a USB, or your PC. In (1) type a filename & location for athe image file. 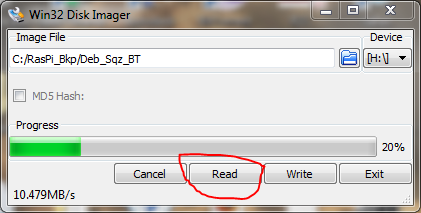 In (2), select the drive letter of your SD card. Then press 3. This does the same as option 1. Plug in a USB stick to your Pi, and copy any important files across. This will run a python script that will walk you through the process. Just plug in your microSD card into your Ubuntu, Linux Mint or Debain computer, and follow the in terminal instructions. I've been using usbit for Windows. It's the only tool I can find that will allow you to swap from a larger SD card to a smaller one. All I did was tick the following on the options page; Ignore size checks and Truncate oversize images. This allowed me to swap my OpenELEC and Xbian images from a 16 GB class 4 SD card to an 8 GB class 10 card. It's MUCH easier than resizing partition tables, etc. Not the answer you're looking for? Browse other questions tagged raspbian sd-card windows backup or ask your own question. How can I copy the same image to many SDs? Can I backup my SD card with Disk Utility on OSX? How to restore SD card backup? Is there a way to backup an entire SD card? Use SD Card Copier to create backup to USB, then copy back to SD card?